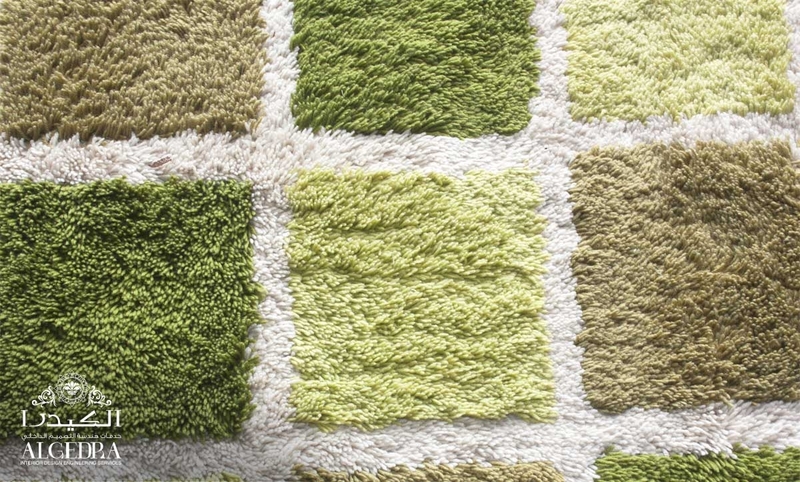 The carpet is one of the most important pieces of furniture, especially in winter where it adds more warmth to the house. With a huge array of colors, shapes, styles, materials and carvings you should be looking for the perfect carpet for your home rooms so that you choose the most suitable for each space. When selecting a carpet do you start from scratch or hope to find the perfect carpet, which fit in the list of your requests and terms? Is this carpet for a low area or high area? Space is it for children and pets to play on some time or is it permanent use for them? What is your budget? Look for the best you can buy, so this amount commensurate with the space you want to put it. The carpet is the best piece of Accessories for a void space to use for a particular style or to add visual interest, such as locating space or making some visual tricks in the room. The Color, texture and carvings of the carpet can add some warmth and identify some of the personal characteristics of the owner. A carpet also works as a buffer to prevent sound leakage significantly to the basement and reduces the echo and noise in the house. Driveways and other spaces that are crowded with movement it is better not to put carpet in them, instead, use hardwood floors because are the best choice for those as they are easy to clean if dirty. But you can use a carpet that covers the whole house and it combines the beauty of carpet and also does not cut the carpet in some of the blanks so it appears unsuitable. Wool: is considered the best and most in demand in spite of its high price because it has a natural appearance, and because it looks better for a long period of time, it does not get destroyed quickly so it is not necessary to renew from time to time. Wool is easy to clean, practical and resists moisture because it is able to breathe and withdraw the moisture lingering in it, so it subsequently keeps the room dry and warm. Wool and silk: Silk is very soft and luxurious and its price is very high, so the blending of wool and silk is to reduce its price a bit to make it possible to buy and make it available in homes, silk takes color beautifully making silk and wool carpet rich in brilliant color. Sisal(the type of marine plants): very beautiful and welcomed when used in the right places. It can be difficult to clean when used in areas crowded with active children and pets but is ideal for use in spaces that there is less movement in. Nylon: Most of the carpet consists of a percentage of synthetic fibers that come in any color you can imagine, they are not that flexible but easy to clean, and nylon is the most expensive of synthetic fibers. Polyester: Lin, affordable and comes in a wide range of colors, polyester yarns are not as flexible as other synthetic fibers as you can find some nodes in the carpet. When installing carpet on the floor you must get an expert to do these things, and ALGEDRA has many experts who help put on the carpet in an optimal way without any incidents. They know how to deal with various types and forms of carpets, floors, and surfaces. Before starting the installation the room must be empty of all the furniture or eject all you can out of the big pieces and small pieces in order the work will in an optimal way.